You are currently viewing our forum as a guest, which gives you limited access to view most discussions and access our other features. By joining our free community, you will have access to additional post topics, communicate privately with other members (PM), view blogs, respond to polls, upload content, and access many other special features. Registration is fast, simple and absolutely free, so please join our community today! Just click here to register. You should turn your Ad Blocker off for this site or certain features may not work properly. If you have any problems with the registration process or your account login, please contact us by clicking here. It's unfortunate that things played out the way that they did but if it had been my kid, I'd have been the first one advocating the animal get taken down. While I think the mother does have some responsibility in this, I feel the bigger blame goes to the zoo. Frankly, this shouldn't have been allowed to happen in the first place and I imagine as a result of this incident, other zoos are going to implement measures preventing this sort of thing from happening, even if it means greater distance/reduce ability to see the animals. "The man who is swimming against the stream knows the strength of it." Just creates more risks and procedural/security elements the staff need to enact, in terms of monitoring multiple entrances, and also increases risk of animal escaping out. Depends a bit on how the entrances are designed. If you do a tunnel/cellar/basement type of deal where you have one above ground entrance leading to places beneath the actual enclosures, you can have a couple guys prevent any kids from getting anywhere. Might be prohibitively expensive, but hey, maybe you could get people to crowdfund it or something. :p Or find other ways to provide the funding needed. "Speak softly and carry a big stick." I'm not saying that the parents should be scape goated but is it too much to expect that they'd prevent this happening? Really? I dont believe that my parents were super human in their parenting and nothing remotely like this happened to me, its a tragedy and it would be cruel and unusual not to celebrate the fact that the child survived and that his parents are going to get another chance at trying to bring them up safely but what's being discussed is not difficult or exceptional or above average in risk calculation and behaviour management terms. Clearly you have no children. My son at age 2.5 used to want to help me while shopping by running ahead to get items we regularly bought. "I get milk Mommy!" and whoosh, in 2 seconds flat he's around the corner and out of my line of sight. My daughter went through a phase around age 3 - 4 where she would stealthily hide in clothes racks because it was a game. Fun for her, but not so fun for me running around the store trying to stay calm but panicking while trying to find her. There is no universe that exists where you can have eyes on your child every single second. And that's all it takes, a few seconds of distraction with other children or paying at the cash register and you turn around and where is your kid. I guess you could leash them to you 24/7, that's about the only way. "Remember always that you not only have the right to be an individual, you have an obligation to be one." I havent got kids because I didnt let a child drop into a gorilla enclosure? Seriously? Also, do you think that your tale of disobedience in a supermarket is on a par with the child dropping into the gorilla enclosure? Please tell me that you dont. I really dont see why there's the need, as a parent, to get defensive when you read stories like this, the reality is that its not about you and I'd very much doubt that you'd make the same mistake from what you've said in this post alone, so, you know, why make excuses for it? Maybe it comes off as judgemental, which I know is a thing which makes people extremely uncomfortable in the present climate or cultural quandry, unless its something like falling short of a cheer leading celebration of a perceived underdog or select minority group but I dont see it as being a problem, hopefully, this family learns from this, I hope other families learn from it too and it becomes a kind of cautionary tale but I dont see how either of those things can happen while people refuse to consider them having any responsibility in the set up at all. I don't want to watch that video. This has nothing to do with me being defensive. I'm saying it doesn't give you an adequate perspective to make an informed judgement. I'm saying that even the very best of parents have moments where something could have gone very wrong in the blink of an eye. You sit in judgement of these people and you know nothing, absolutely nothing about this situation. "Judge not, that ye be not judged. For with what judgment ye judge, ye shall be judged: and with what measure ye mete, it shall be measured to you." What I am saying is that you are lacking compassion for a thing you do not have the full measure of information for, and that leaves you in a position to make an error of judgement. It's not about not judging at all; it's about realizing that in judgement resides an inherent complexity that requires a great deal of wisdom in application. You judge readily without experience or information; is this the measure of judgement you wish applied to you? I can tell you don't have children because if you did, you'd reflect on your own experience and realize such things can easily happen, and you'd appreciate an extension of a little grace and compassion for such a breath-taking reality. Reminds me of when I was a Guardian Ad Litem for the state. Whenever there was an animal abuse case there would be protesters. The courtroom would be full. In a different courtroom, the custody hearing of a man who physically abused his son was going on. No one there. It's not a judgement. More an observation. I remember when that picture of the dead Syrian boy washed up on the beach. I'm hearing a lot more about this gorilla. I don't know. Not saying they are related, that you can't care about both - more that there is a public discrepancy in both. I find it interesting psychologically, that when an animal is hurt it is easier to rally around the defense of it. Mainly because animals are a blank slate for all of our softness and vulnerability. When it is a human, we assign blame and want to look away because it reflects our darkest behaviors, not our softest ones. As I recall, a pretty big deal was made about that picture. I think you're unintentionally exaggerating the amount of attention this is getting in comparison because it's fresh in everyone's mind. I don't like the idea of zoos because I think animals are happier in the wild. Wild refuge sanctuaries for injured animals are fine, but they should be released once the animal is healthy. In this incident, the zoo is at fault, specifically the architectural designer of the gorilla enclosure. The negligent parent(s) will probably sue the zoo. There's fool-proof, but not damned fool-proof. I foresee this, as well. The zoo is to blame for its inadequate enclosure, but it's commonplace now for irresponsible parents to sue some agency for harm that comes to their children as a result of bad parenting. Depending on the laws concerning lawsuits against government agencies they could be held strictly liable, that is held liable regardless of whether they were negligent. I'm just gonna leave this here. This seems pretty open-shut. Masses of bleeding heart, ignorant soapboxing activists are projecting human motivations onto a giant ape. He was dragging the kid around by the leg. They don't protect or carry own young that way. He clearly saw the kid as a possible threat, or an object to drag off and examine, etc. 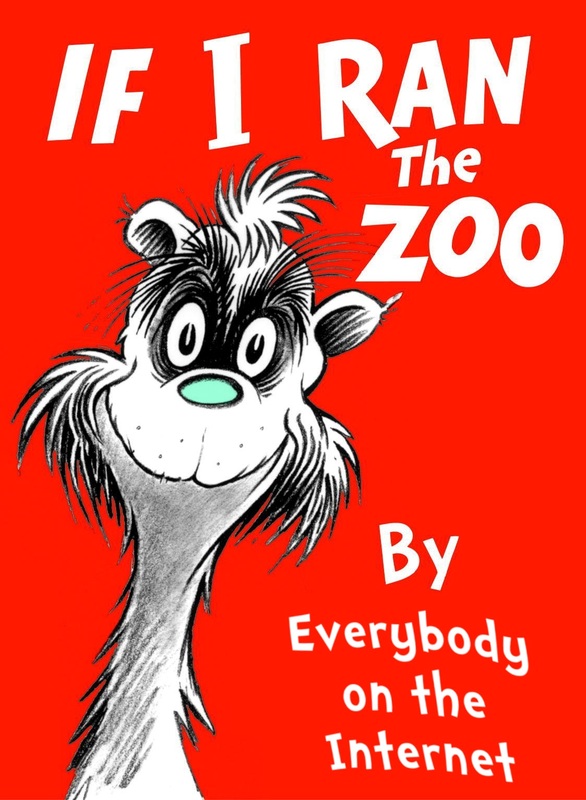 The zoo made the right call, neutralizing an imminent threat to human life. The enclosure likely needs updating, needless to say. While it's great people care about the animal involved, the reaction and spread of misinformation is pretty astounding. Yay, Internet. 03/23 06:29:07 Lexicon: I was sleeping! 03/05 19:27:41 Time: You can't make chat morbid. Lex does it naturally. Wouldn't surprise me in the least. I've ceased to be amazed by all of the asinine lawsuits which have resulted in liberal judges awarding millions of dollars for irresponsible or criminal behavior. Copyright © 2008 - 2018 TypologyCentral. All rights reserved.